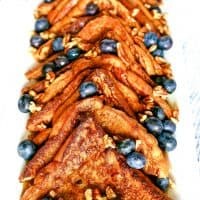 This cinnamon french toast is a great addition to your next brunch – made with simple ingredients. Top with fresh blueberries, pecans and maple syrup. I realized that I only eat french toast when I go out for breakfast or brunch. Which doesn’t make sense at all because it is so easy to make and I really like it. 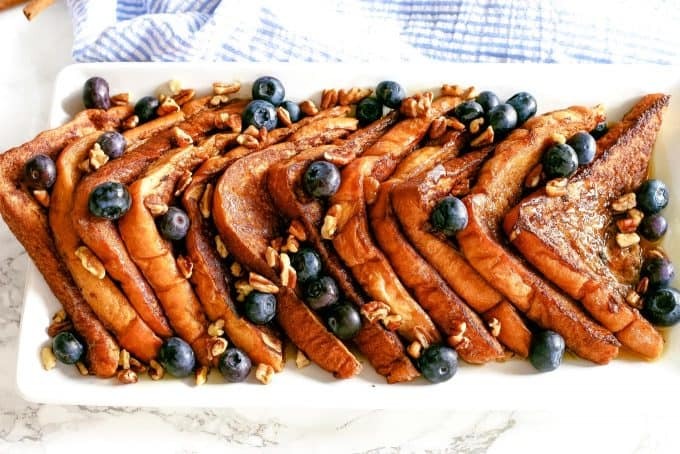 The only sensible thing to do here is, of course, share a french toast recipe! 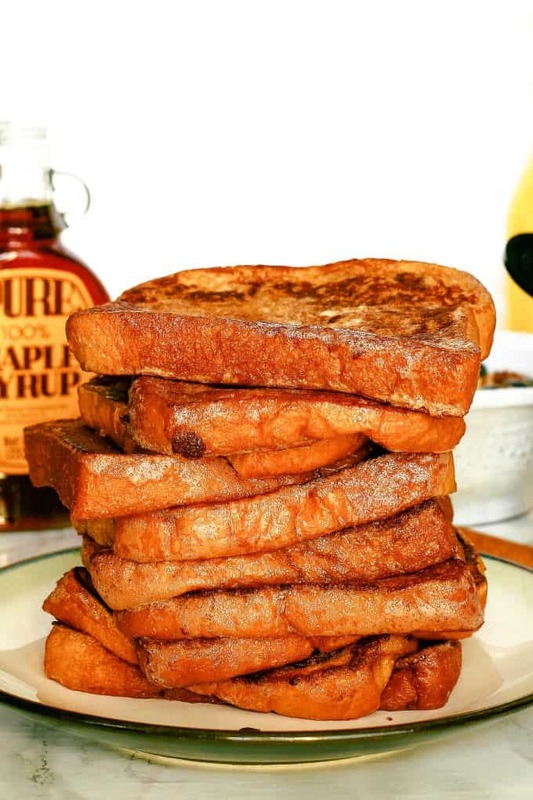 The first thing you need to make french toast is thick bread. I usually use a brioche loaf but any sturdy, thick cut bread will do. Beware the thin bread. When I use thinly sliced bread, the french toast is a little flimsy and does not hold toppings well. Then you need to dip and soak the bread slices in the cinnamon, egg and milk mixture. Once you have whisked up your eggs, cinnamon and milk add butter to a hot skillet. 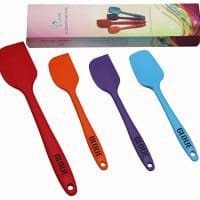 One by one, soak the bread slices in the egg mixture and place them on the skillet. Cook each bread side for 1-2 minutes until it’s brown and toasty and then remove it from the skillet. Repeat until all the cinnamon french toast is cooked. 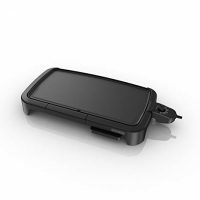 If you are like me… you will eat a slice hot off of the skillet. It smells so good! To serve it, I like to cut each slice into triangles and place them on a long dish. Then I top it with fresh blueberries and pecan pieces before I drizzle a liberal amount of maple syrup on top. You won’t be able to resist making this for breakfast, at least once a month. 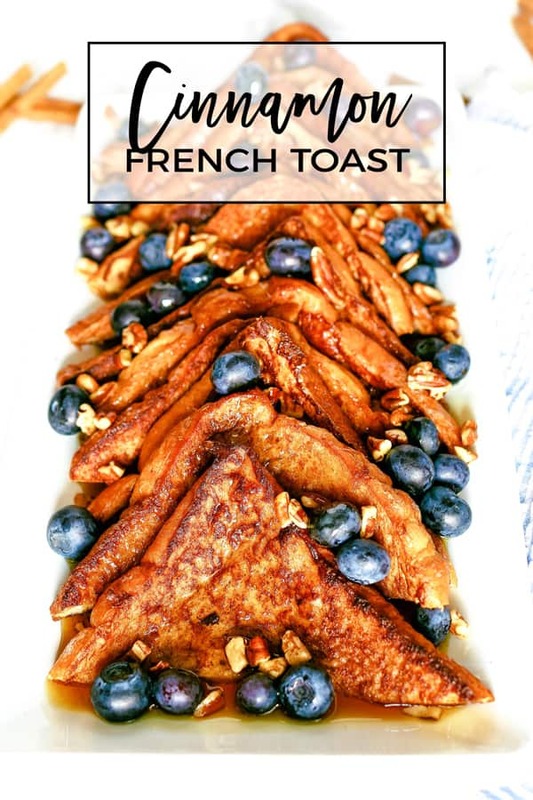 What do you eat French toast with? If you don’t like blueberries, have a nut allergy, and are out of syrup, you are not out of luck. 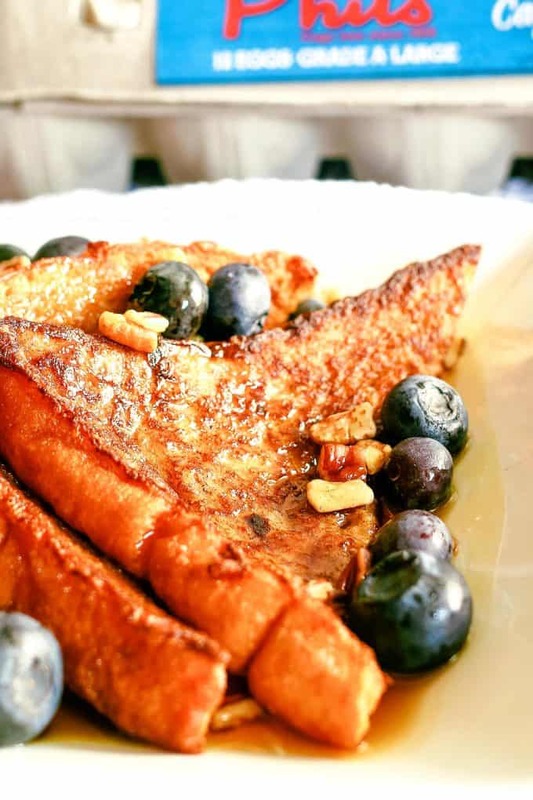 Classic French toast is topped with butter and syrup or powdered sugar. The sugar option and 3 slices of bacon was my favorite Saturday morning breakfast as a kid. 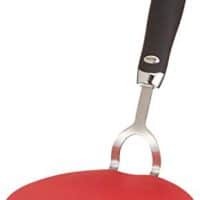 Pre-heat a medium skillet or griddle over medium-low heat. 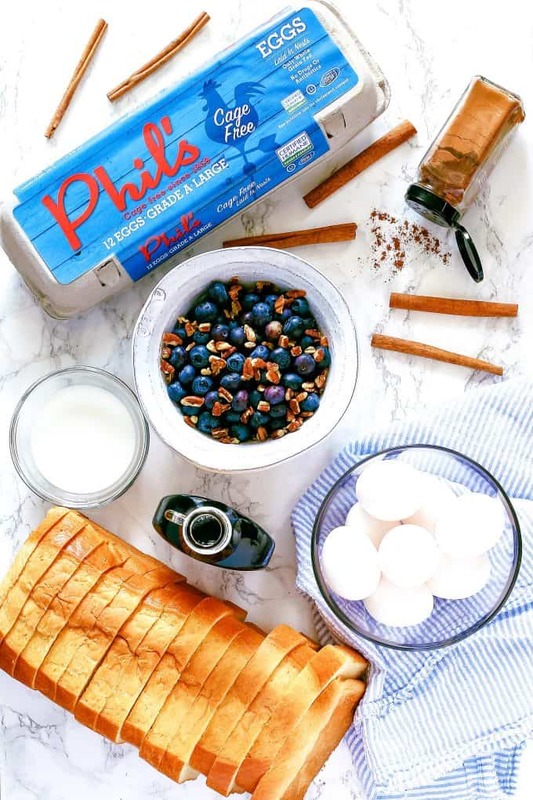 Whisk together eggs, milk, cinnamon, and vanilla in a shallow bowl. Add butter to the skillet or griddle and allow to melt, being careful that it doesn't burn. Dip a slice of bread in the egg mixture, covering both sides. Place soaked bread onto skillet and fry on each side until golden and cooked through, about 1-2 minutes on each side. Repeat with each bread slice. 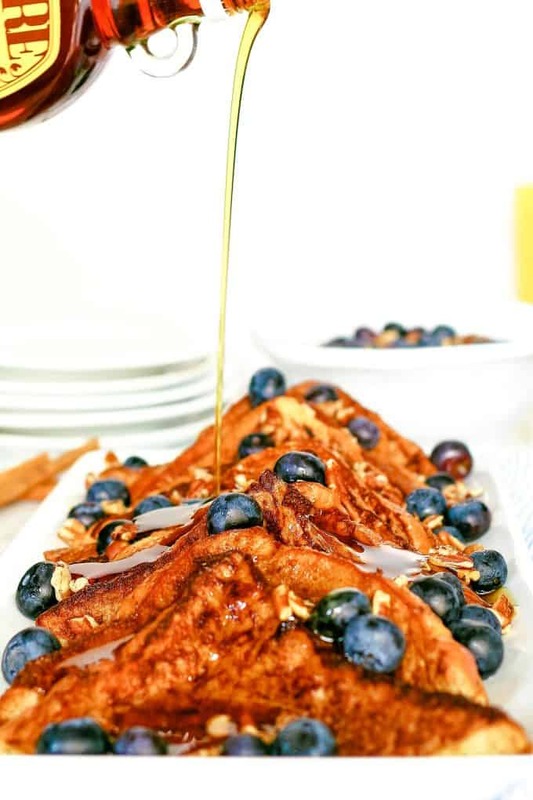 Serve hot and garnish with fresh blueberries, pecan pieces and maple syrup as desired. Is there anything better than a decadent breakfast? This is a much more flavorful recipe than what I use. Can’t wait to dig in! 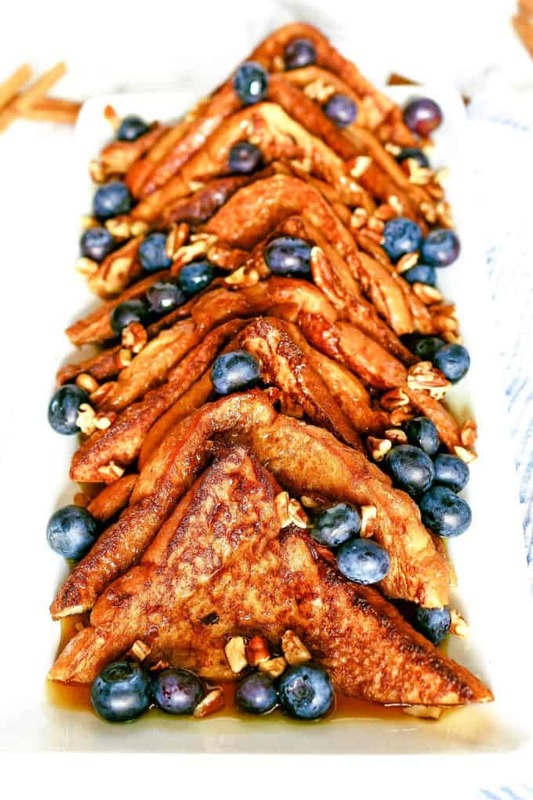 MMM cinnamon french toast would be perfect for this Sunday’s brunch! Sounds like the perfect way to start the morning to me! French toast is one thing my family can’t get enough of!! Hello! Your french toast looks scrumptious and the presentation is elegant. Well done! It looks like a vision of paradise. Something to make for a Sunday breakfast!! !